View additional policies related to orders placed through this Site (such as order processing, shipping and handling, returns and exchanges). All content available on the Site, including but not limited to text, graphics, logos, button icons, images, audio clips, data compilations and software, and the compilation thereof (collectively, the "Content") is the property of Gade Cosmetics, our affiliates, partners or licencors, and is protected by Australia and international copyright laws. 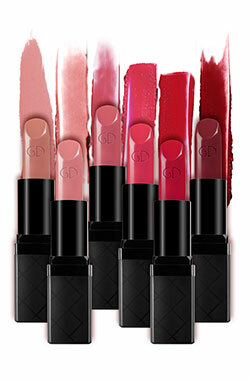 The trademarks, logos, and service marks displayed on the Site (collectively, the "Trademarks") are the registered and unregistered marks of Gade Cosmetics, our affiliates, partners or licencors, in Australia and other countries, and are protected by Australia and international trademark laws. (vi) use any meta tags or any other "hidden text" utilising our name or the Trademarks or to otherwise use the Trademarks; or (vi) use software robots, spiders, crawlers, or similar data gathering and extraction tools, or take any other action that may impose an unreasonable burden or load on our infrastructure. Any unauthorised use by you of the Site terminates the limited licenses set forth in this Section 5 without prejudice to any other remedy provided by applicable law or these Terms and Conditions. We reserve the right to refuse service and/or terminate accounts without prior notice if you violate these Terms and Conditions or if we decide, in our sole discretion, that it would be in Gade Cosmetics best interests to do so. 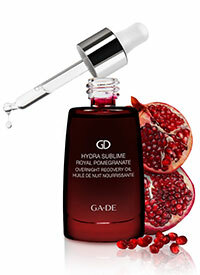 We are not responsible for the content of any off-Web site pages or any other Web sites linked to or from the Site, including, without limitation, Gadecosmetics.com.au. Links appearing on the Site are for convenience only and are not an endorsement by us, our affiliates or our partners of the referenced content, product, service, or supplier. Your linking to or from any off-Web site pages or other Web sites is at your own risk. We are in no way responsible for examining or evaluating, and we do not warrant the offerings of, off-Web site pages or any other Web sites linked to or from the Site, nor do we assume any responsibility or liability for the actions, content, products, or services of such pages and Web sites, including, without limitation, their privacy policies and terms and conditions. You should carefully review the terms and conditions and privacy policies of all off-Web site pages and other Web sites that you visit. With respect to any dispute regarding the Site, all rights and obligations and all actions contemplated by these Terms and Conditions shall be governed by the laws of Australia, as if the Terms and Conditions were a contract wholly entered into and wholly performed within Australia. Any dispute relating in any way to your visit to the Site shall be submitted to confidential arbitration in Australia, except that, to the extent you have in any manner violated or threatened to violate our intellectual property rights or the intellectual property rights of our affiliates, partners or licencors, we may seek injunctive or other appropriate relief in any court and you consent to exclusive jurisdiction and venue in any such court. Arbitration under this agreement shall be conducted under the rules then prevailing of the Australia Law. The arbitrator's award shall be binding and may be entered as a judgement in any court of competent jurisdiction. To the fullest extent permitted by applicable law, no arbitration under this Agreement shall be joined to an arbitration involving any other party subject to this Agreement, whether through class arbitration proceedings or otherwise.